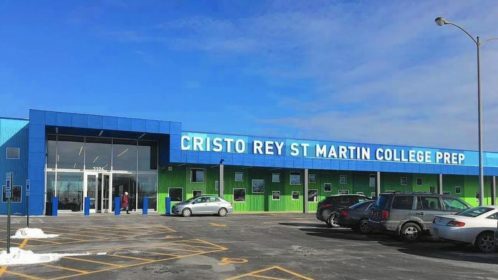 Waukegan’s Cristo Rey St. Martin College Prep, a work-study opportunity for hundreds of students over the last 14 years, recently opened a state-of-the-art campus. Preston Kendall, president of Cristo Rey St. Martin, said the school is a Catholic learning community that empowers young people to become men and women of faith, purpose and service. The rigorous college preparatory curriculum, integrated with a relevant work-study experience, allows students to graduate ready to succeed in college and in life.